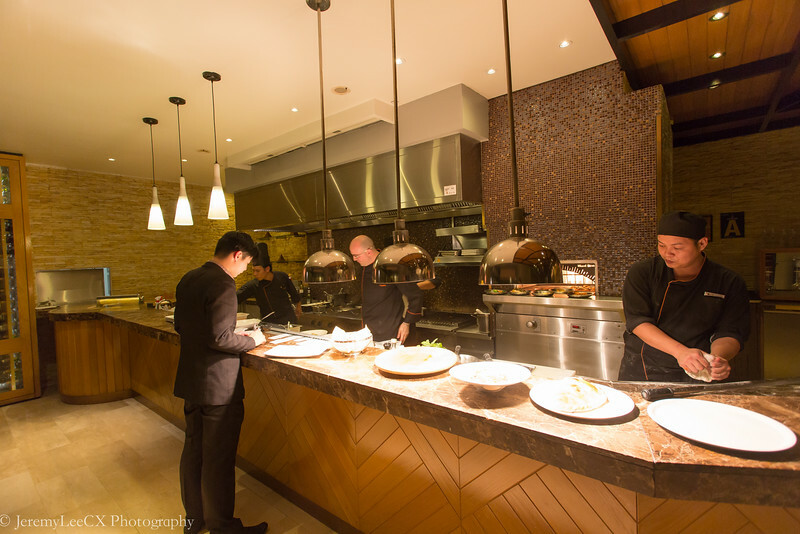 During my recent trip to Kuala Lumpur, I had the opportunity to dine at DoubleTree By Hilton Kuala Lumpur's Italian Restaurant, Tosca Italian Trattoria helm by Chef Filippo Giunta. As part of their seasonal menu, I had the opportunity to try home-made Italian dishes by Chef Filippo like how he had them back in Italy. Back of Basics was the theme and boy I was so glad that I was able to try some real authentic Italian delicacies with fresh ingredients, some even airflown from Italy. 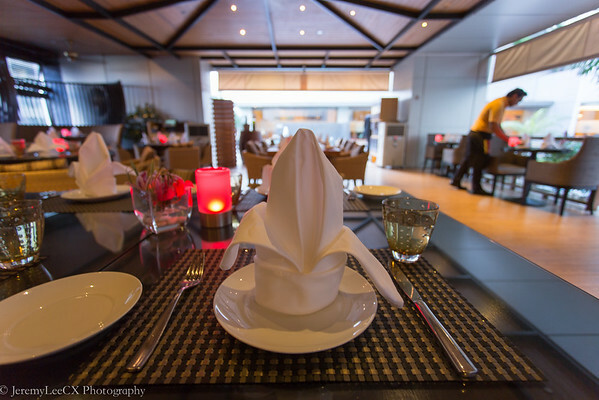 Under the humid Kuala Lumpur climate, it is definitely a challenge to dine in an alfresco dining area. 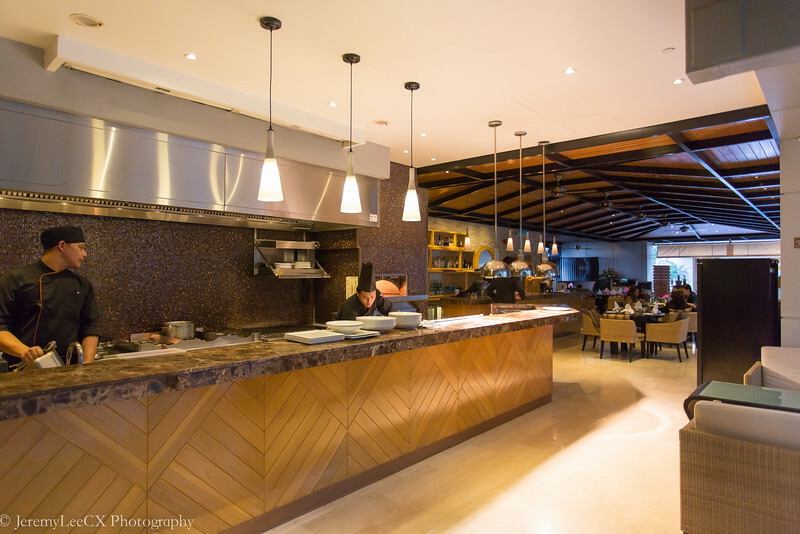 However, Tosca is located just beside the pool and with an open concept restaurant, offers some unexpected and welcoming breeze throughout my dining experience. 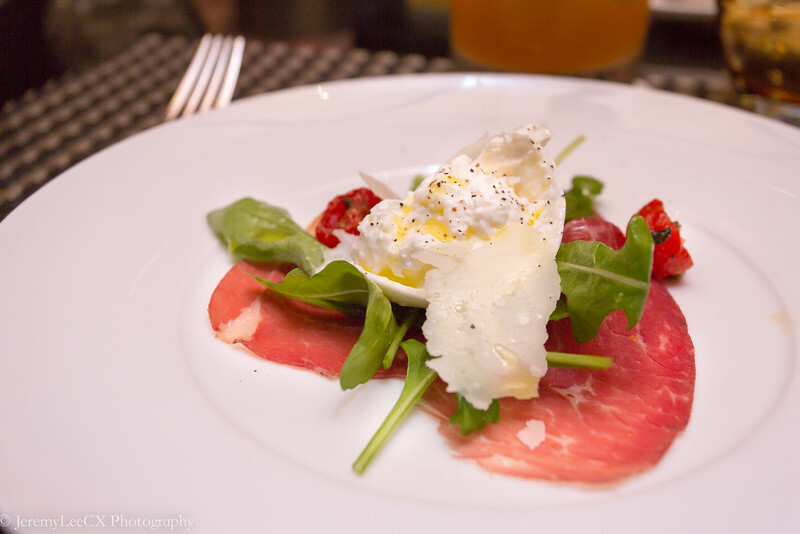 The first course was a salad dish, a base of authentic Bresaola dried beef with rocket leaves, sundried tomatoes and generous shavings of Parmesan cheese topped with an egg liked Burratina cheese. Everyone thought that the egg liked ball was a soft boiled egg, however to our surprise, chef Filippo explained that this is Burratina cheese. 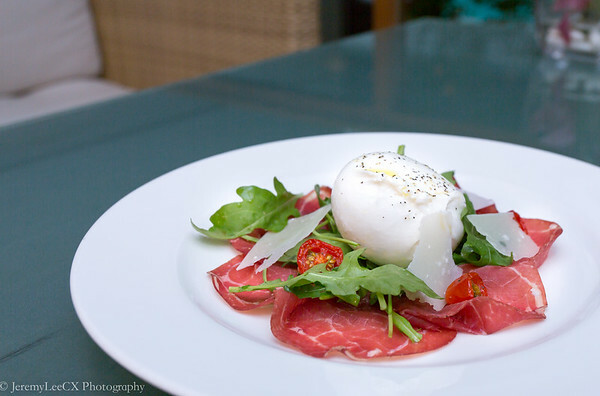 Burratina cheese has an unusual texture, the outer casing is harden mozzarella whilst retaining a soft mixture of cream and mozzarella in the middle. I was enjoying the dish as much as the presentation, the air dried beef with the rich, milky and buttery texture of the Burratina cheese topped with some rich Parmesan cheese. A simply amazing combination. Side remark, note how beautiful the rocket leaves are! What is an Italian meal without their famous pasta? For the next two courses, it is surreal, for the Tortelloni dish is simply amazing and the classical spaghetti dish brought me back to the childhood memories where dad used to bring me to dine at this authentic Italian restaurant at Goodwood Park Hotel. 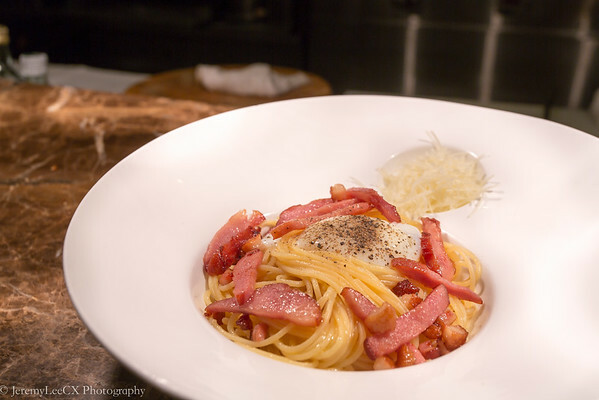 Chef Filippo shared that back in Italy, classical carbonara does not come in cream sauce, instead it comes with a soft boiled egg, local cheese, bacon and a generous dressing of freshly shaved pepper. Yes! I was right all along! 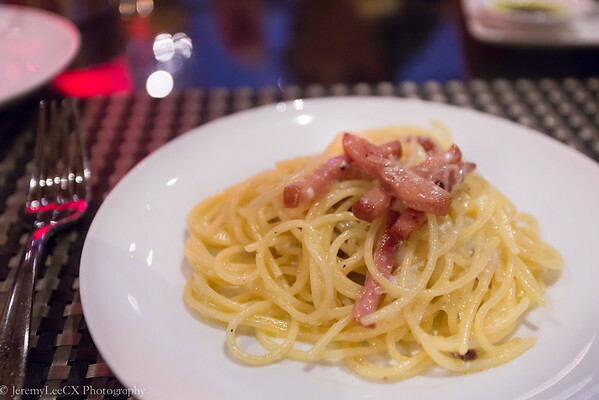 The spaghetti was Al-dente and was coated with the beautiful 64c egg, retaining a rich and creamy texture without the overwhelming cream feeling of your usual carbonara. The replacement of Bacon with Smoked Duck Breast was masterful and almost unrecognisable. 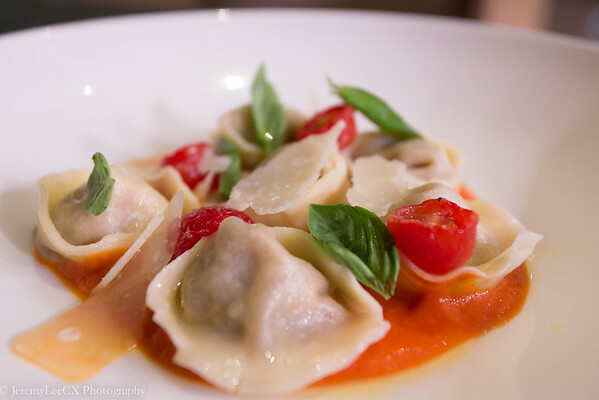 The Tortelloni was amazing, filled with fresh eggplant and cooked al-dente with a simple toss of tomato sauce before served with a generous shave of Parmesan and sprinkle of basil leaves. 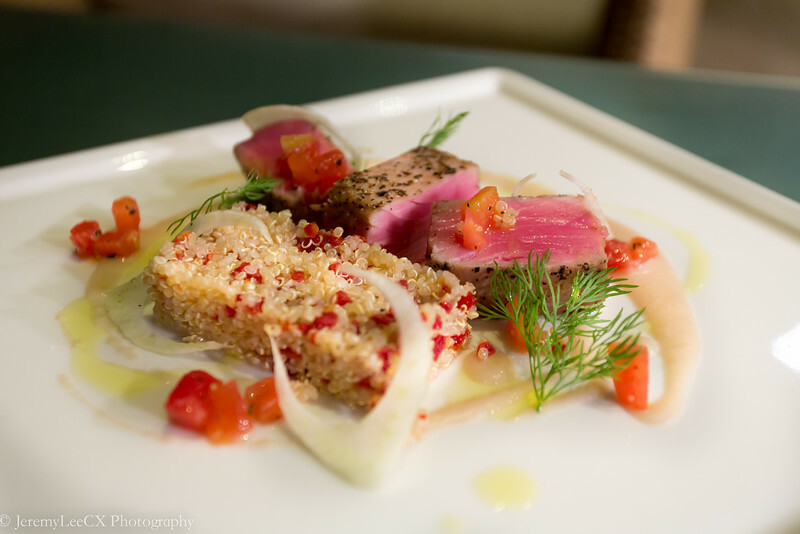 Right after Pasta comes the next courses of Pan-seared New-Zealand rack of Lamb and Yellow Fin Tuna. Having returned from Australia, I am extremely picky with my lamb. 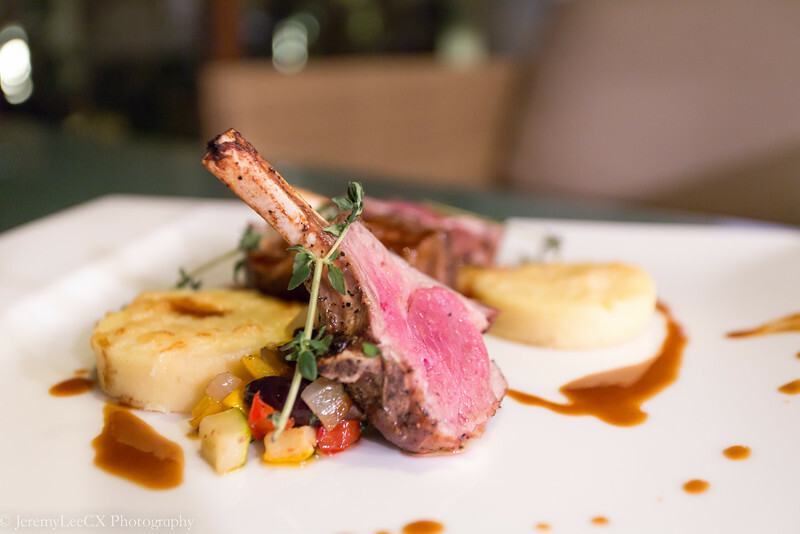 I am glad to have enjoyed this lamb dish, a beautiful char and sear on the outside, retaining the juices of the meat on the inside, accompanied with a beautiful and rich Semolina Gnocchi. The tuna however was overshadowed by the Lamb, I truly enjoyed the lamb that I felt it was unfair for the Tuna dish. I was not blown away by the Tuna, felt that it could have a heavier sear on the outside and thought that the fish was a little dry. At this stage, I am already quite stuffed. 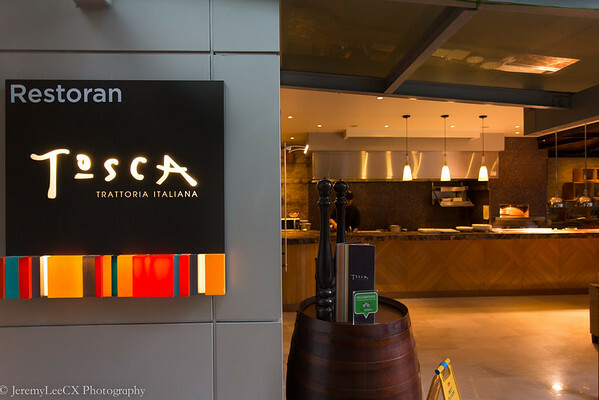 However as stuffed as you may be, every diner sure do have a pocket of space reserved for desserts and if you are visiting Tosca, you better reserve a big pocket of space. 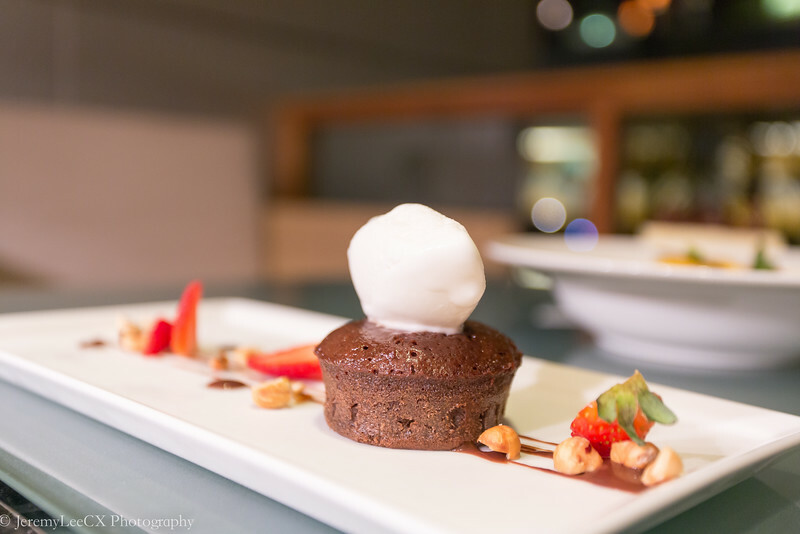 We had a trio of signature desserts to fill our pocket of space and ordered the Tiramisu, Vanilla and Orange Panna Cotta and not forgetting the recommended warm chocolate Tortino. 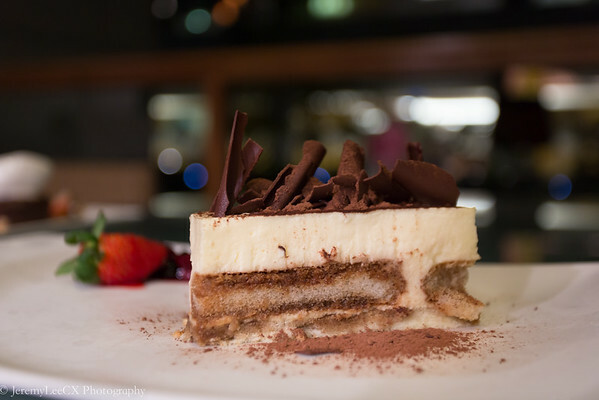 The Tiramisu is good, but would be better, I love my Tiramisu with plenty of layers between cream and cake which creates a smooth texture all way round. I love the cream and the cake, if only it had more layers. 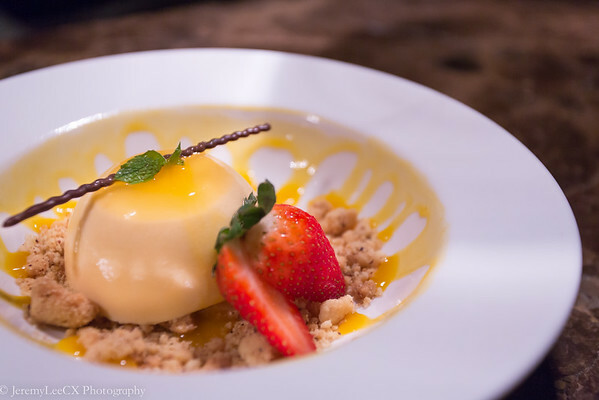 The Vanilla and Orange Panna Cotta is refreshing and something different, so much so different that it reminds me of the Asian Mango Pudding! So good! The star of the evening had to be the warm chocolate Tortino, so good that my entire dining company went "Awwwww" after trying the first mouthful of warm, moist, rich and smooth chocolate Tortino dipped with cold vanilla ice cream. Simply amazing that my sister said its the best chocolate cake she had so far! 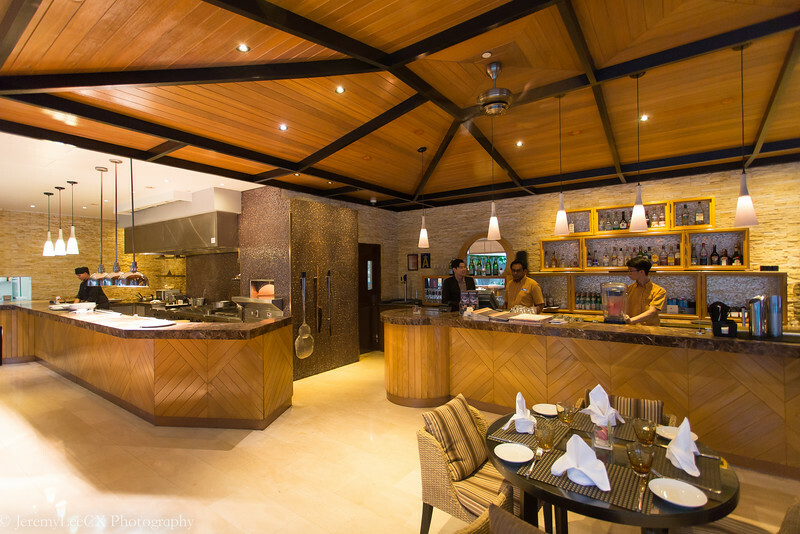 Definitely an amazing, satisfying and I would believe, authentic Italian dining experience prepared by Chef Filippo! 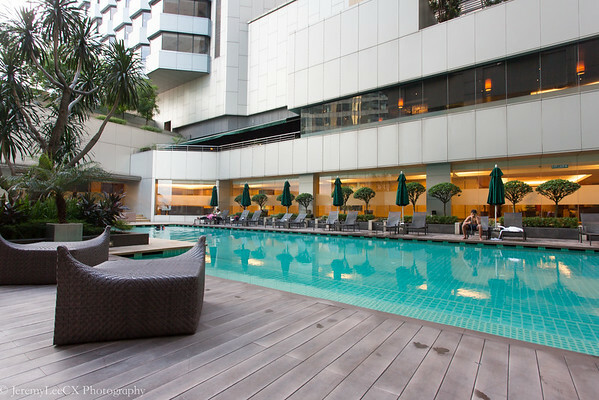 A place which I would definitely return for a meal when I am visiting Kuala Lumpur.